As manufacturers of the WOW Saddle, we are dedicated to creating equestrian equipment that aids comfort levels in horses, leading to greater performance levels for the rider! The Kinda can be fitted to all standard bridles and features a padded base that increases pressure distribution. 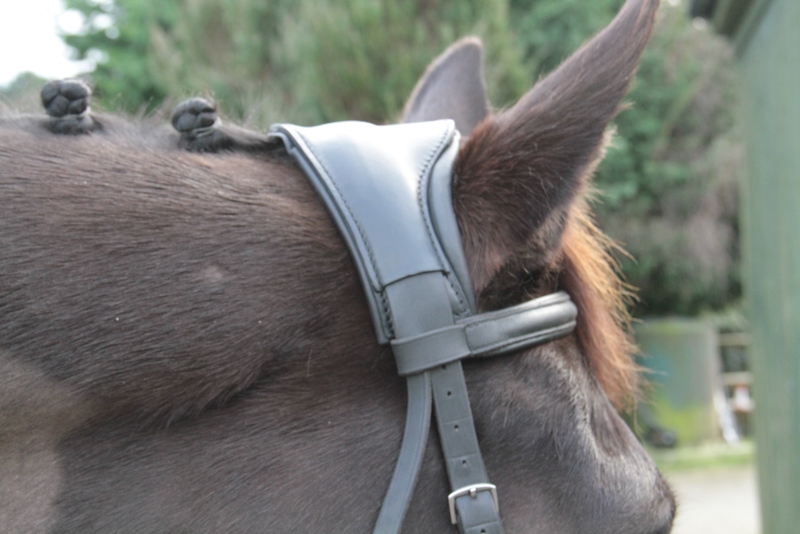 The normal bridle headpiece threads through a hidden channel at the top of the Kinda, for a smart, smooth appearance. The Kinda is ergonomically designed for a comfortable fit at the ears. You can purchase the Kinda from First Thought Equine for just £49 in Black or Brown.